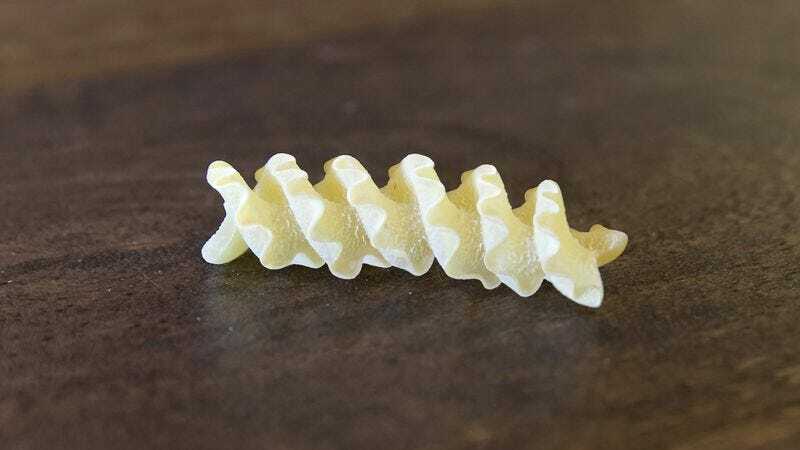 WASHINGTON—Following months of analysis and numerous rounds of human trials, the Food and Drug Administration officially announced Thursday the approval of a new pasta shape. “After conducting multiple research studies, we have determined that tagallafoglio is as safe, effective, and flavorful as any other pasta shape on the market,” said FDA commissioner Robert Califf, adding that the tubular curl with scalloped edges passed tests for retaining both tomato and cream-based sauces, and was shown to possess a conveniently short boil time. “The ease with which it can be picked up with a fork and achieve an al dente texture were all in compliance with FDA standards. Furthermore, the pasta can be safely served hot as an entree or cold in a salad, and manufacturers have full approval to produce it without any restrictions regarding use of white flour, wheat flour, or a tricolor mix.” Ostroff cautioned, however, that the new pasta shape was at this time only approved for pairing with a light-bodied red wine.